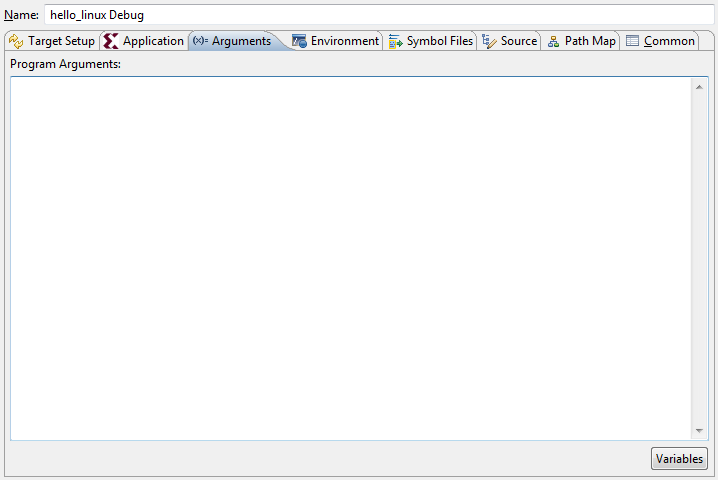 Select the application you want to debug. Select Run > Debug Configurations. 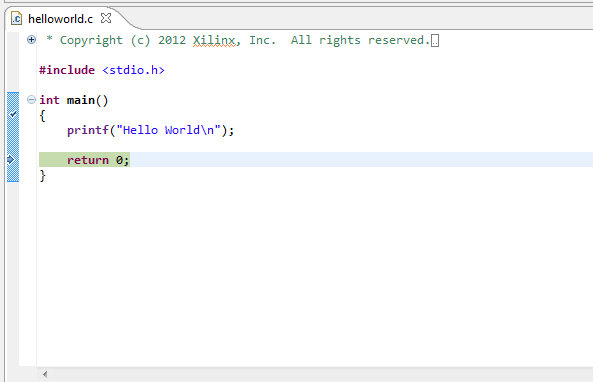 Click Xilinx C/C++ application (System Debugger) to create a new configuration. Click the Target Setup tab. 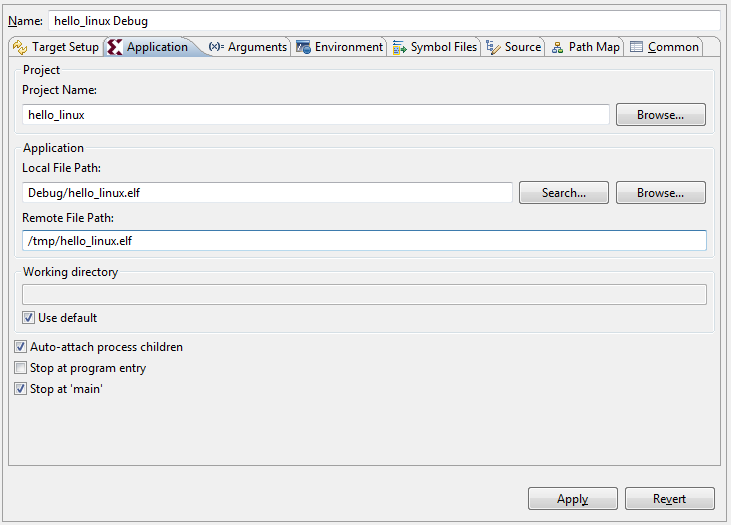 From the Debug Type drop-down list, select Linux Application Debug. Provide the Linux host name or IP address in the Host Name field. By default, tcf-agent runs on the 1534 port on the Linux. If you are running tcf-agent on a different port, update the Port field with the correct port number. In the Application Tab, click Browse and select the project name. SDK automatically fills the information in the application. In the Remote File Path field, specify the path where you want to download the application in Linux. If your application is expecting some arguments, specify them in the Arguments tab. 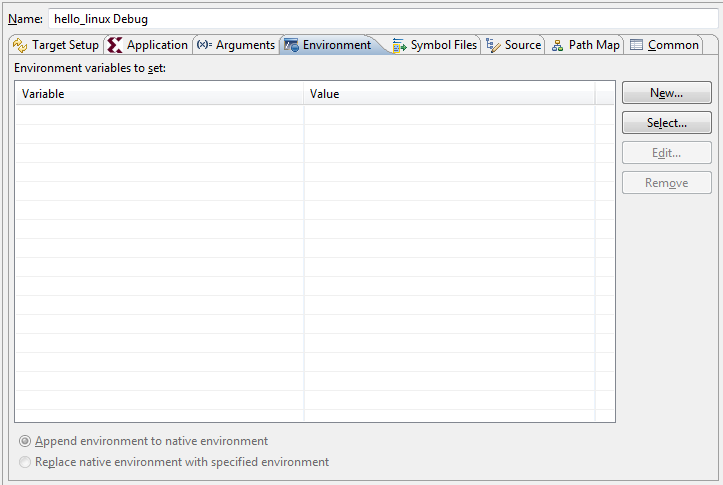 If your application is expecting to set some environment variables, specify them in the Environments tab. Click the Debug button. A separate console automatically opens for process standard I/O operations. Click the Terminate button to terminate the application. Copyright © 2010-2018 Xilinx Inc.